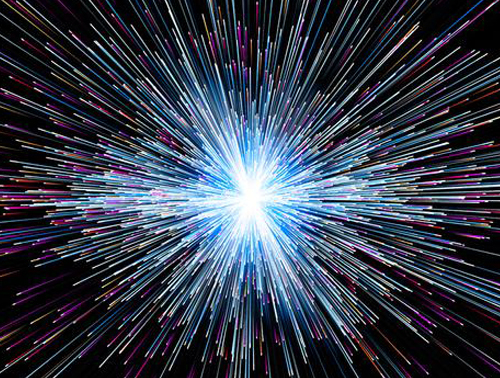 Even today we have no deep explanation of why the speed of light is constant. Nothing can go faster than the speed of light. It makes no difference if the source moves toward or away from the detector, or if the detector moves toward or from the light. Even if they move at near light-speed the measured speed of light remains the same. There are three ways to get a constant speed for light. One way is to measure it. That’s what Michelson and Morley did in 1887. It was their failure to find any change that set a physics fox among the cosmologic chicks. Another way is to assume it. That’s what Einstein did. He built special relativity on this foundation and its success is taken as confirming his assumption. The third way is to explain why the speed of light is constant. That, as Kennedy observes, no one has done. What’s light got to do with all this anyway? On the surface there’s an easy answer: Minkowski’s spacetime replaced time with a spacelike dimension―time multiplied by the speed of light. This makes the math of relativity look simpler. But light-speed isn’t constant. The constant is the speed of light in empty space. Media like air or glass make light go slower. Recent quantum trickery stops light in its tracks until, unleashed, it springs forth as if it never was held up. It seems the constancy of light’s speed isn’t quite a property of light. So it’s a property of what?